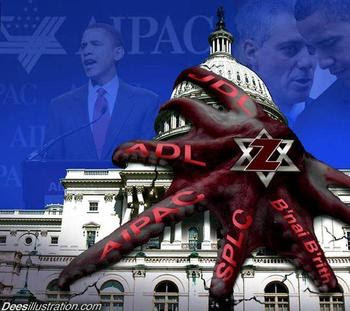 What is empowering PNAC supremacists who believe in a never-ending ethnic cleansing; while dis-empowering Nationalists in the world, is the USA's shadow government of the trilateral commission, CFR , the Wyoming boys who use the Arab/Israeli conflict for COVER...We should recognize that morality, justice, and rationality are the only road to peace.The power behind the power in USA will fail miserably Worldwide soon. We have discovered a letter from the General Service Administration (GSA) administrator Gerald P. Carmen to CIA director William Casey, dated February 27, 1984, in which Carmen, who founded a top Washington lobbying firm, attempted to interest Casey in policy pamphlets prepared by the American Israel Public Affairs Committee (AIPAC). Carmen explains that he is passing the AIPAC information to Casey at the behest of Guil [Guilford] Gazer of Los Angeles. Carmen, who is a well-known supporter of Israel as is Gazer, writes to Casey, "I am neither agreeing nor disagreeing with its [the pamphlet] contents, but merely forwarding the information on to you as requested." Glazer is a retired Los Angeles real estate developer and shopping mall owner who remains active in supporting Israeli causes. In 2009, Glazer bankrolled the founding of the Diane and Guilford Glazer Institute for Jewish Studies at Pepperdine University. The August 4, 2005, indictment read: "Paul McNulty, United States Attorney for the Eastern District of Virginia, announced that Lawrence Anthony Franklin, age 58, of Kearneysville, WV; Steven J. Rosen, age 63, of Silver Spring, MD; and Keith Weissman, age 53, of Bethesda, MD, were indicted today by a federal grand jury sitting in Alexandria with Conspiracy to Communicate National Defense Information to Persons Not Entitled to Receive It. The indictment alleges that beginning in April of 1999, Rosen, the Director of Foreign Policy Issues for the American Israel Public Affairs Committee (AIPAC) in Washington, D.C., and Weissman, the Senior Middle East Analyst in the Foreign Policy Issues Department at AIPAC, in an effort to influence persons within and outside the United States government, would use their contacts within the United States government, including Franklin, with whom they first met in February 2003, to gather sensitive United States government information, including classified information relating to the national defense, for subsequent unlawful communication, delivery and transmission to persons not entitled to receive it, including members of the media and foreign government officials. Franklin was also charged with three counts of Communication of National Defense Information to Persons Not Entitled to Receive It. In one of those counts, Rosen was charged with aiding and abetting him in the unlawful disclosure. Finally, Franklin was charged with conspiring with persons known and unknown to the grand jury to communicate classified information to an agent or representative of a foreign government. It is alleged that Franklin would use his position as a desk officer in the Office of the Secretary of Defense to gather information, classified as affecting the security of the United States, for subsequent unlawful communication to a foreign Israeli official." Indyk, who became the U.S. ambassador to Israel under Clinton, was also enmeshed in a suspected espionage scandal. On September 21, 2000, Indyk, while serving as US ambassador in Tel Aviv, had his security clearance suspended by the State Department. Indyk was investigated for violating State Department security regulations. At a September 25, State Department press conference, Richard Boucher, the Department spokesman, said, "We have not suspended security clearances for an Ambassador previously, prior to this. This is the first time this has happened to an Ambassador...."
Imagine that you could fraudulently obtain a German travel document to be used by assassins, utilising the name and personal details of a still-living individual to do so, and even if you were caught, arrested and extradited to Germany for trial, you would be allowed to return to your home country. It’s possible if you happen to be an Israeli. Given that Germany is known for its strict adherence to rules and laws, this really is mind-boggling. I’m referring to the alleged Mossad agent Uri Brodsky, who is believed to have illegally obtained a German passport that was used to enter Dubai by one of Israel’s gang of assassins behind the murder of Hamas commander Mahmoud Al Mabhouh. Brodsky was arrested in Warsaw Airport in June; not for spying or conspiracy to murder but for the lesser crime of illegally procuring a passport. On August 12, he was extradited from Poland to Germany where a German judge happily released him on bail and told him there was no bar to his return to Israel provided he returns in the event he is sentenced to prison. However, according to the Israeli daily Haaretz, Israel is likely to have done a deal with the German authorities whereby Brodsky will probably get away with a fine. There’s a word that springs to mind: conspiracy. It seems that Poland, Germany and Israel have been in cahoots to spring this unsavoury individual who goes under several aliases to save Tel Aviv from embarrassment. What other explanation can there be when there is little doubt that Brodsky is linked however tenuously to a pre-planned and ruthless murder? Their actions have made a mockery of the concept of justice and the rule of law. Brodsky should have been handed over to Interpol and interrogated or sent to Dubai for questioning. Dubai Police have spent an inordinate amount of man hours on this case and have used every kind of cutting-edge forensics and technology in an attempt to crack it. Yet, the Polish and German authorities didn’t even have the courtesy to allow Dubai’s intelligence agents to speak with the only person in custody who potentially holds the key to the truth. If the shoe had been on the other foot, and foreign agents had penetrated Germany with murder on their mind, there would have been an outcry had Dubai patted a possible killer on the back and sent him back home to mama. While it’s true that a co-founder of Hamas would be viewed by most European capitals as a persona non grata and there were no tears shed in Poland or Germany following Al Mabhouh’s demise, that is not the point. Neither European nor international law blesses extrajudicial assassinations -- irrespective of the victim in question. As despicable as the inaction of Poland and Germany to aid Dubai in solving this crime is, it is hardly surprising. It appears that Arabs are fair game in some European countries where for decades the Mossad has been given a virtual carte blanche to target Israel’s enemies. 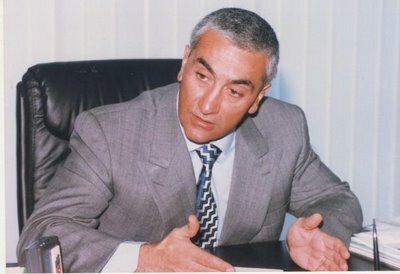 At least six Arab men have been murdered by Israeli agents in France over the past 28 years, including Palestine Liberation Organisation leaders Zuhair Mohsin and Atef Bseiso, as well as the Egyptian nuclear scientist Yahia Al Meshad, who was found in a Paris hotel room with his throat slashed. Several Palestinians have been killed in Greece, Cyprus and Malta while a Moroccan waiter was mistakenly killed by Mossad agents in Norway while out walking with his pregnant wife. Yet Israelis with a government licence to kill get away with murder and abductions time and time again. Not so the Russians. When former KGB officer Alexander Litvinenko was poisoned with radioactive polonium-210 whilst in London, Britain demanded the extradition of chief suspect Andrey Lugovoy from Moscow. The refusal of the Russians to comply caused a serious diplomatic rift and cooling of British-Russian relations. Another country that conspires with Israel to protect its spies is, of course, the US. When cells of Russian spooks were recently caught in suburban America living under fake identities, they were arrested before being swapped for agents held in Russian jails for spying for Washington. When Israelis are caught in the act, such as the Israeli ‘art students’ who were arrested prior to the 9/11 attacks or the five Israeli ‘removal men’ who were seen dancing as they videotaped planes flying into the World Trade Centre twin towers, they are packed off to Israel. Even the Jewish weekly The Forward confirmed that at least two of the men were working for the Mossad. ونتقدم من عائلة الفقيد الكبير الوزير الراحل ايلي حبيقة وأبناء بسكنتا والجوار خصوصاً واللبنانيين عموماً بأحرّ التعازي بفقدان هذه الأسطورة التي قد لا يتكرّر مثيل لها. One can see the wisdom in his very visage. The hazel eyes, glowing from sockets lined with deep suntan emotions, beam with the brilliance of a limelight. His hair, looking like spun silver, sits neatly in place upon his head. Yet, as he nods slightly, it sparkles, each strand in concert, as if to echo the exuberance of his own nature. His nose, strong and stately, arcs proudly above the overshadowed yet undaunted mouth. The lips, bold as they are, show incredible kindness and generosity, especially when he curls them into one of his particularly boyish grins. His countenance mirrors his being and in that beautiful angel face one can see a child playing in a meadow. His forty six years do not show themselves in his posture. He stands tall, erect; and moves with unmitigated grace. Always dressed in perfect clothes, his bright colors dazzle and shine in the Lebanon sun. What a sight this man is to behold! The experiences, heartbreaks, loves, joys, and victories of forty six years of living, all combine into one fascinating embodiment within him, a Heroes' Hero and the greatest man ever. The Truth Behind The Israeli Secret Services. Charlie Wilson's War - The Israeli Jihad Connection. VICTOR BOUT / US-ISRAELI-RUSSIAN MAFIA for Hire/Timing? Dates? Rogue OPS. INC. & Plausible Deniability ? American Intelligence Called BOUT: "intelligent and personable." Here we go AGAIN: I Don't Recall line is back in DC. A 'devastating condemnation' of OSP and Feith ? Smell the Stench of the Lies! Protecting the System with LIES. ROGUE CIA+FBI , DOD ? Family Relationships...Backbone Of Intel ??? The Salvador Option Negroponte BIS. Just Facts on Arms transfers. WHAT'S BEHIND THE CRASH IN CRUDE OIL? Washington's $8 Billion Shadow... In LEB? The Battle of the Nile - Circa 1190 B.C. We don’t do morality in the CIA.? CODI...What An Incompetent Piece of Work, She Is! method to the Franco-German madness? Bellaciao committed to trial ! Israel doesn't want peace, and USA doesn't want any peace , they never ever did.